Stardust, an award-winning space technology project led at Strathclyde University has been featured on a major BBC programme. The Stardust Project, which explores solutions to the threats posed by asteroids and space debris, featured on BBC Two’s Stargazing Live, on 14 January. The programme showed researchers working with lasers on the project. It also featured a demonstration of Isaac Newton’s Third Law, which holds that for every action, there is an equal and opposite reaction. “A smaller asteroid would not cause the devastation of the one which struck at the time of the dinosaurs, but even a small asteroid could have a profound effect on a city or town. This is why it is vital that we continue to identify and track near-Earth objects, and also that we create viable options to deflect an object which might threaten lives. 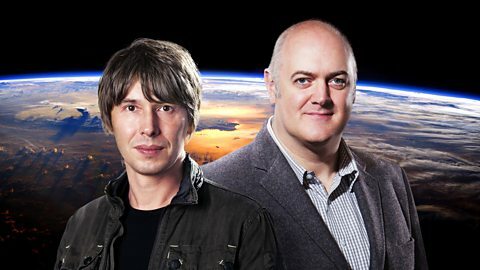 Stargazing Live is presented by Professor Brian Cox and Dara O Briain. Scenes on the Stardust project were filmed at Strathclyde’s Technology and Innovation Centre in November 2015. Stardust is a £4.1m project funded by the European Commission under the FP7 People/Marie Curie Actions grant scheme. The network gathers together researchers and leaders from 14 different institutions, including academia, industry, research think tanks and the European Space Agency.